An all-natural chewing option with irresistible, highly palatable Cow Hooves. Reward your dog with long-lasting and high-protein Cow Hooves. The unique shape and texture help to support your dog’s dental health by cleaning teeth. These durable chews can help reduce boredom and are a great option for strong chewers. Dogs will love the Antos Cow Hooves. These single-ingredient natural Hooves are trimmed for a nice, clean look and roasted to provide long lasting enjoyment. They are free of any additives, preservatives or colourings. 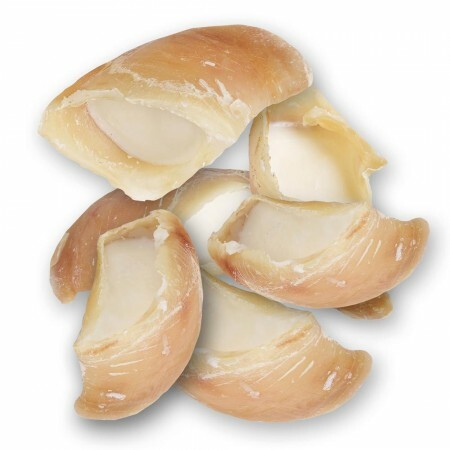 The Hooves Meaty are a double tasty treat, made from the same natural cow hooves and stuffed with a tasty meat filling. Safe, natural and a delicious chew full of amazing flavour. They are chews that will keep you dog busy and happy for a long time. Besides they are effective at helping to clean the dogs’ teeth and gums. Add some excitement to your dog’s daily routine with high quality meat products. 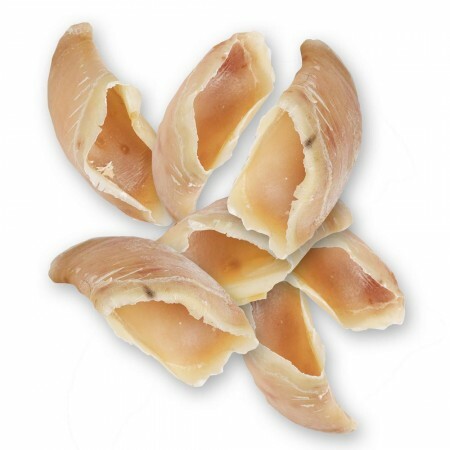 Great for tough chewers, these Natural Hooves with Sheep Fat are low in fat and made with no additives. The tasty filling make these chews extra special to spoil your best friend. These 100% natural chews are great to chew every day.